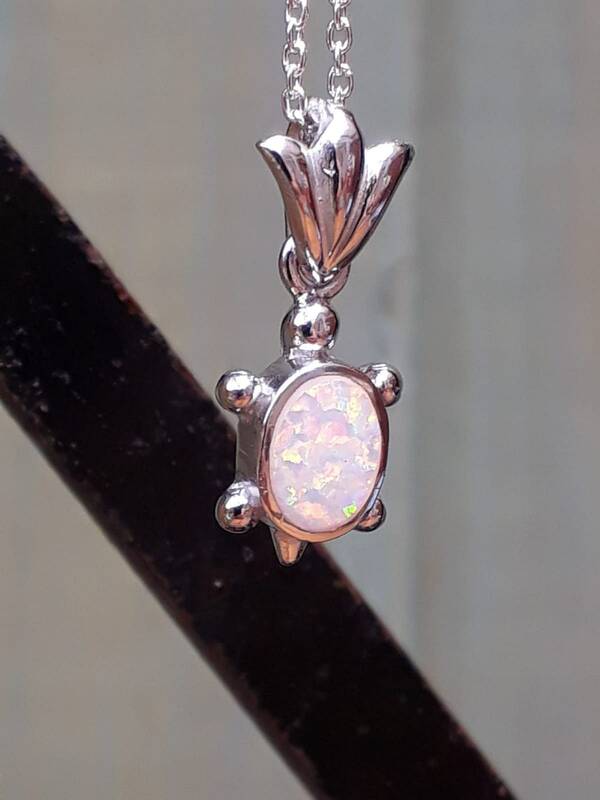 Made Solidly With a Nice Weight to Hang Comfortably, The Opal Captures An Array of Colours. 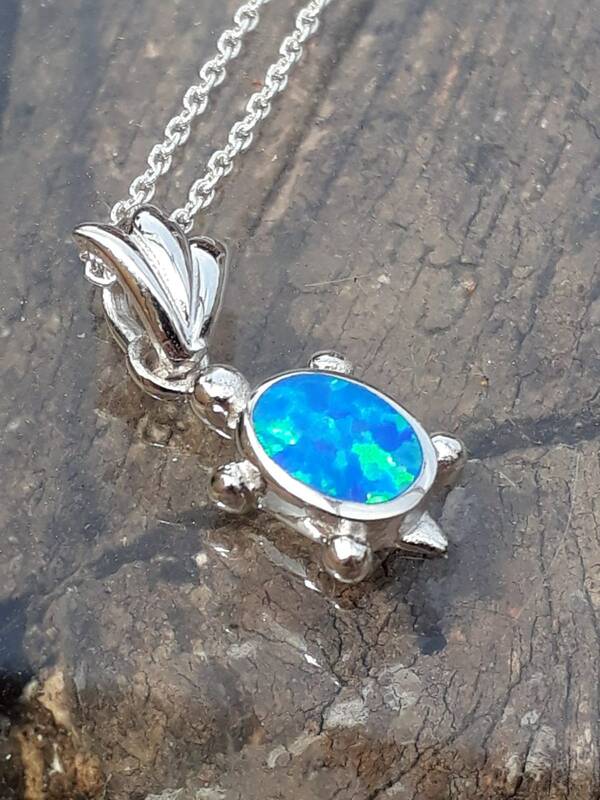 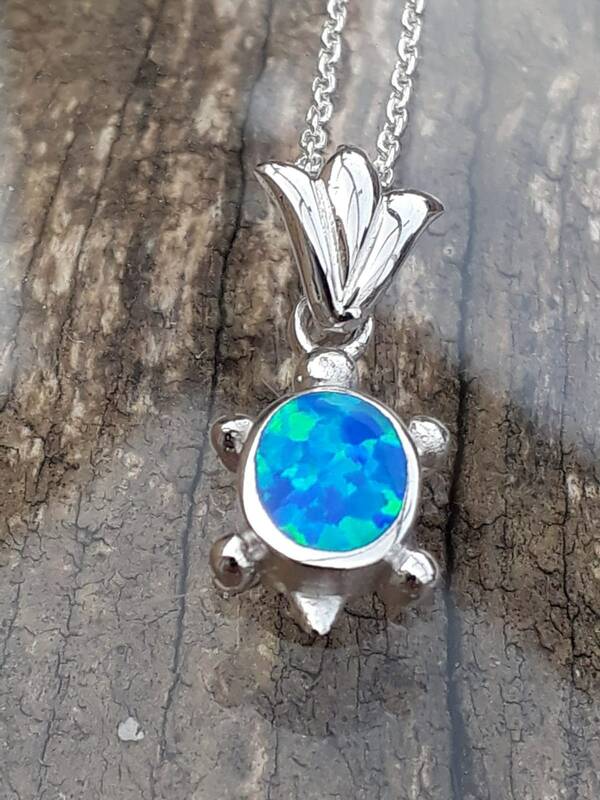 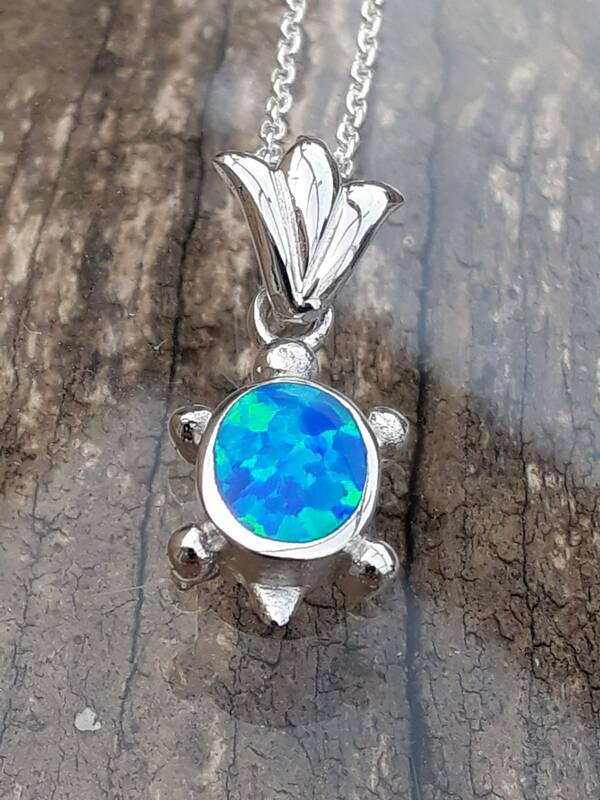 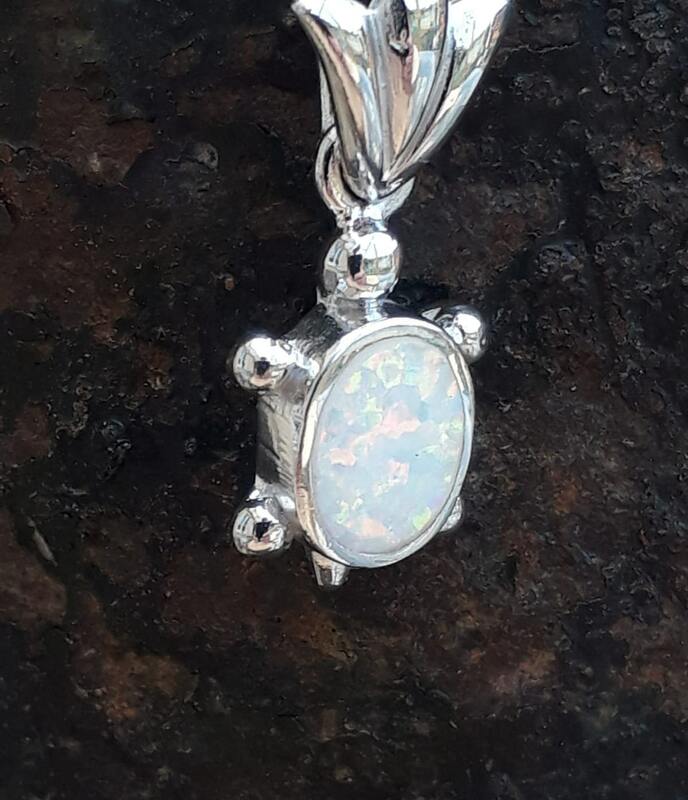 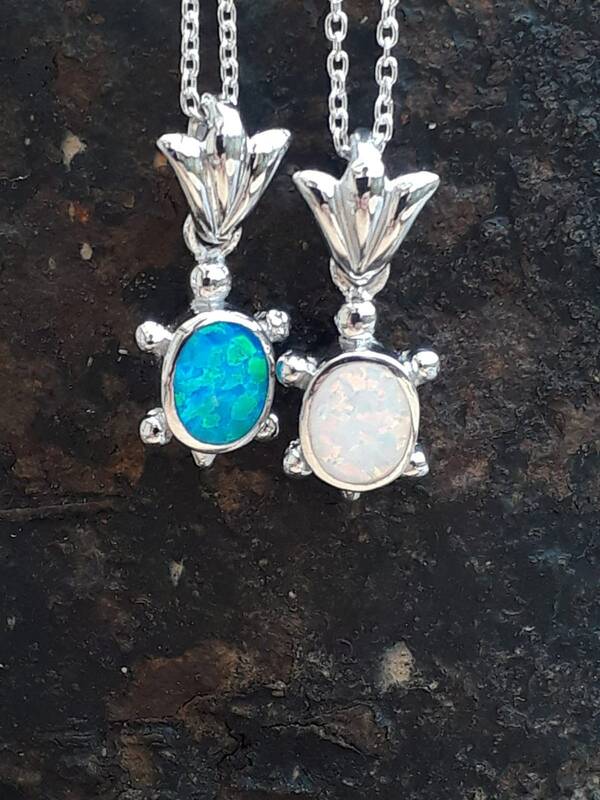 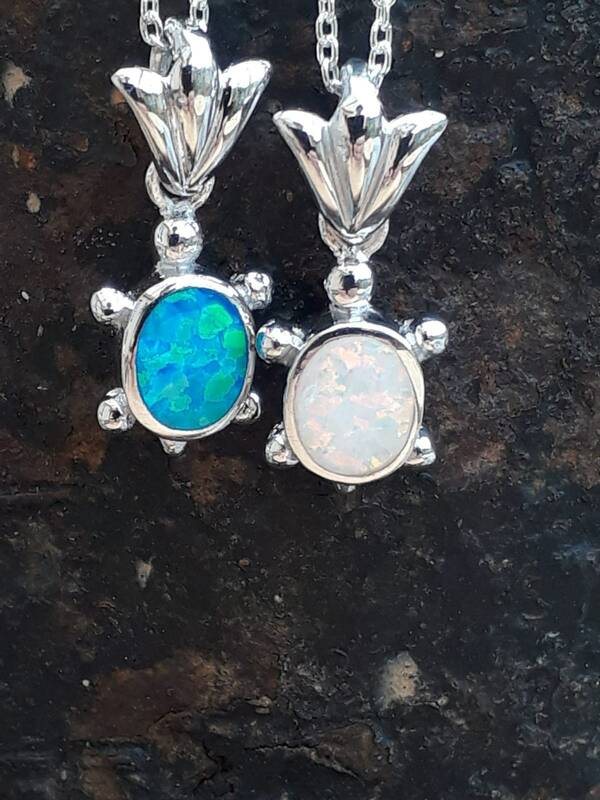 This Pendant Is Available in Either Blue or White Opal. 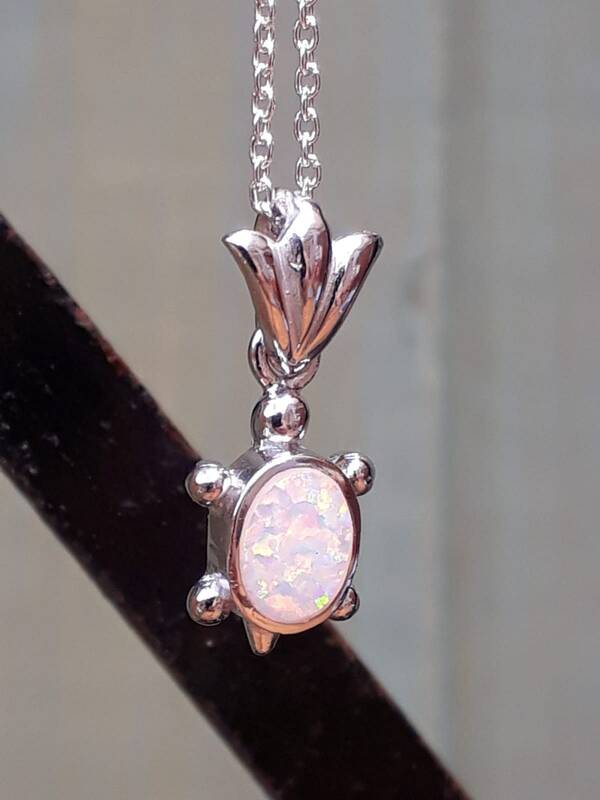 Included is a Sterling Silver 16 Inch Trace Chain.